I just love the way this box turned out - it is a really pretty box in its own right. It would be a lovely way to present some jewellry or even just a gift card but I took this really pretty box and turned it into a little way of gifting some beautiful gift tags. 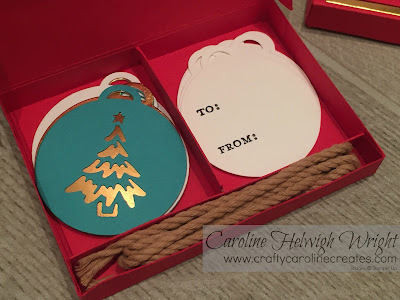 My thoughts were that you combine the decorative tags; made using the Merry Tags framelits and some of the stunning Copper foil sheets; with the plainer To and From tag and tie them together with the Kraft Rope. 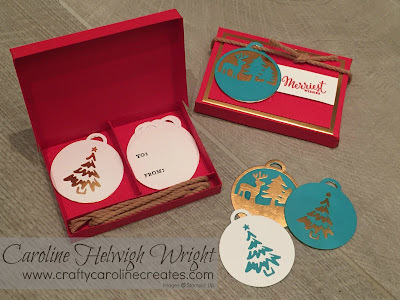 The box and the tags themselves are all really easy to make - if you'd like to see exactly how I did it click HERE to view the YouTube video tutorial. Thanks for another great project! I'll be doing a few of these to go to the aromatherapy shop for "Shop Locally Saturday" after Thanksgiving. 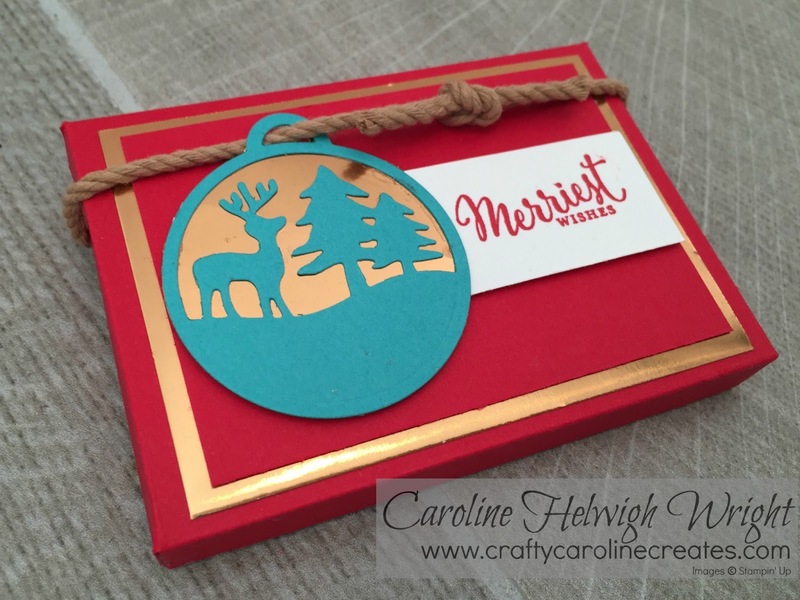 Lovely gift sets and really quick and easy to make.